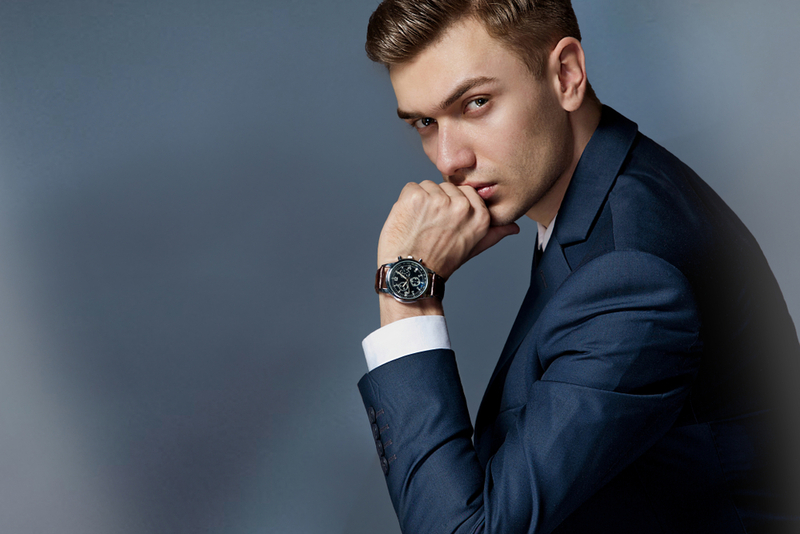 Did you know that choosing a watch to most men is one of the most challenging tasks? It is very rare to find a man having trouble choosing a belt, yet it’s also one of the most important accessories. Like jewelry for women, a watch is a singular expression to a man’s personality. However, match it wrong, and it will just be another off-note distraction, and you won’t get the style or the class you need. Matching a watch with outfits can be the most nerve-wracking things to most me so here you will find five handy tips you can use to make your watch an elevating and complementary addition to your wardrobe. Always pair your formal watch with formal clothes, but to do this, you need to have a basic understanding about watch types and the level of dress code formality. There are two categories of watches, the digital and analogue watches. Dive watches. Dive watches were originally designed for underwater diving, but their features make them an incredible timepiece in other occasions. They are water resistant, features a metal band and often with easy to read numerals. Dress Watches. These are sleek, a little sophisticated and with a plain white face. You won’t find many complications on this watch, just the simple features of a regular watch such as leather straps, and a face with hash marks. Racing. These are medium sized men watches with large dial sporting numerals and often comes in bright colours. Always includes a chronograph and date complication. The cases are often stainless steel, and the strap is metal or leather. Field. These are more rugged than other timepieces, they are functional and tough for active duties. Often comes with a leather strap and face with easy to read numbers. Pilot. Pilot watches are medium in size, with an oversized dial, legible number and often with a chronograph for complication. The strap is often leather. For each of the above categories, you need to know the one that will match your outfit. If you are wearing a black tie or a white tie, a simple, classic dress watch with a minimal embellished face will do just fine. For business wear, just go with a classic style a watch with quartz movement, without much complication. For sharp casual wear, like the khakis, denim, or sports coats, a large watch face with more complexity like a pilot watch will do. If you are wearing casual clothes like polo shirts, jeans, tees, or chambray button downs, you can try all the options, but a field watch will take all the beating. It is not just about the watch, but also the watch strap; you need to be careful on the type of strap you match with your outfit. Leather watch bands are considered more formal than the metal ones. The black leather band is also considered more formal compared to brown leather. Do not consider metal bands when you are going off to formal events, just go with a rugged leather strap. Always match your leather shoe with a leather strap. You can also match the leather strap with a leather belt. The color should also matter if you are wearing black shoes, consider a black belt and a brown band. The band does not have to be the same color as the shoes, or belt, but it has to match. Watch metal must complement the metal accents of your other accessories like the shoe buckle, belt bucks, and cufflinks. So if your accessories expect wedding ring is gold or silver, your watch should be silver or gold. Again, the color does not have to match, but it should be close enough. Watches come in different shapes, and this opens a new possibility to pair with your jewelry. Always match metal strap watch with black or brown shoes; it looks more classy. Certain colors of metal go better with a specific color. For instance, silver watchers seem to match better with black, gray and blue shades. Matching your ideal watches with your ideal outfit may seem overwhelming, but you don’t have to think too much. You only need to take just a few seconds to compare you watch with your outfits. If you are in doubt, why not consider matching the watch with your shoe; if its look awkward, then pick the other one.